The planning application by the UCKG - current owners of the EMD cinema - to turn the cinema into a church was rejected unanimously last Thursday by the planning committee. The meeting took place in a packed Assembly Room, with hundreds of cinema supporters remaining outside, unable to get in. This blog by Steve Green - who did manage to get in - gives an interesting account of the scene inside. 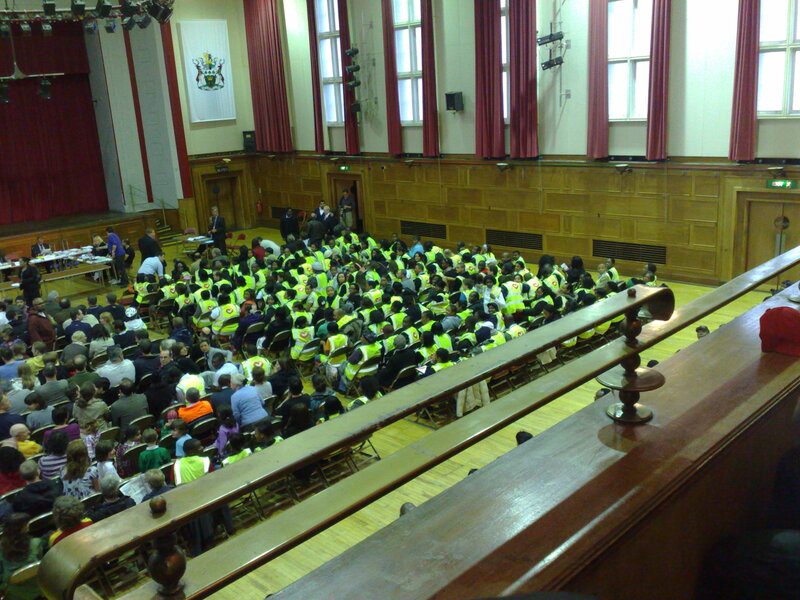 Picture taken inside the Hall shows UCKG supporters to the right, local resident EMD supporters to the left.